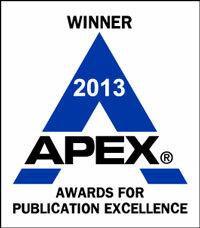 eWriteSteps Wins APEX 2013 Grand Award for Publishing Excellence in Writing! Intrigue, investigation, and truth seeking are all components that make up a first-rate mystery. Follow the clues in this introductory lesson to the 5th grade mystery writing unit as your students think like detectives in order to solve the case and uncover the mystery item! 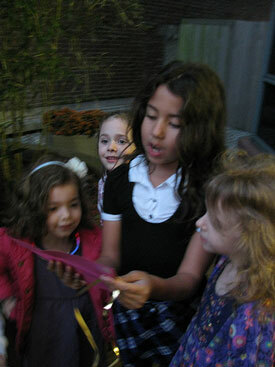 A student works with others to solve a clue. CCSS.ELA-Literacy.W.5.4: Write narratives to develop real or imagined experiences or events using effective technique, descriptive details, and clear event sequences. CCSS.ELA-Literacy.W.5.3a: Orient the reader by establishing a situation and introducing a narrator and/or characters; organize an event sequence that unfolds naturally. CCSS.ELA-Literacy.SL.5.1c: Pose and respond to specific questions by making comments that contribute to the discussion and elaborate on the remarks of others. CCSS.ELA-Literacy.SL.5.1d: Review the key ideas expressed and draw conclusions in light of information and knowledge gained from the discussions. When Suzanne Klein first mentioned to me she was planning on donating to the Children’s Home Society of Florida (CHS), I was profoundly moved. I have a personal history and tie to the mission of CHS, and this was something Suzanne was unaware of. I was adopted as a child into a loving home and was given opportunities I never would’ve had if it hadn’t been for my adopted family. Because of this, I have always felt passionate about giving kids second chances and knowing how important it is to have a supportive family, blood related or not. The CHS protects and heals children, builds and strengthens families, and rescues and embraces teens struggling to survive on their own-giving them a fighting chance to lead a successful life. Children victimized by their own parents, find hope and security in CHS’s emergency shelters, group homes, or foster families. The CHS also helps find infants and children loving homes through private adoption. 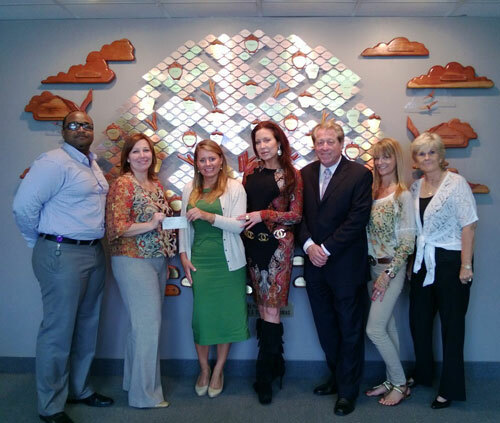 Suzanne Klein and Team WriteSteps donated $10,000 to the Fort Lauderdale CHS foster care group home. The home currently houses 12 boys between the ages of 13 and 18. The boys living at the home haven’t found forever families or foster families, and this is a last resort for them. Without Children’s Home Society of Florida, they would have no place to live, or would be thrust into “survival mode” on their 18th birthday, responsible for every aspect of their well-being. CHS provides life skills training, educational and career coaching, guidance and safe housing, so all of the boys can learn self-sufficiency as they transition into adulthood and pursue opportunities for life success. Suzanne Klein, WriteSteps’ Founder and CEO, passing off the $10,000 check to the employees of Children’s Home Society of Florida. Suzanne is passionate about helping the Children’s Home Society of Florida. In addition to the $10,000 donation, Suzanne will be volunteering her spare time (when she isn’t helping children across the nation discover their writing voices) to help “spruce” up the foster home with art, music, and culture. Suzanne believes that a creative, inspiring place to live, combined with the arts, encourage children to achieve goals and make them believe anything is possible, regardless of their current situation. We are proud to announce that eWriteSteps has been awarded the APEX 2013 Award of Excellence in writing! APEX 2013 — the 25th Annual Awards for Publication Excellence — is an international competition that recognizes outstanding publications from newsletters and magazines to annual reports, brochures and websites. 2,400 entries were evaluated and 100 Grand Awards were presented to honor outstanding work in 12 major categories. This is the third award WriteSteps has received this year for our work in helping teachers succeed in teaching writing. It’s incredible to see the growth of WriteSteps as we work to help improve student writing across the nation. WriteSteps was also the recipient of Learning Magazine 2013 Teachers’ Choice Award and the recipient of the eLit Gold Award for Digital Publishing Excellence. Writing gives us the freedom to go beyond our daily lives, explore new lands, and broaden our horizons. Writing has the power to transform lives, initiate movements, and change the world. 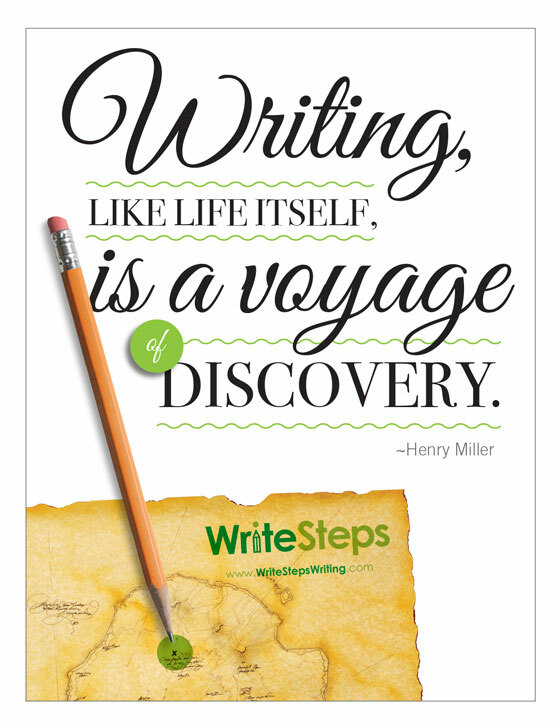 Hang this poster in your classroom and you will inspire your students to discover their writing voices. Each month we will be sharing a new poster with you. Click on the poster to download it for free. If you like the poster, please share it with your colleagues and friends. WriteSteps will be at the IASP Fall Conference at the Indianapolis Marriot Downtown. Stop by and say hello! While there, you can sign up for a free trial to eWriteSteps, which automatically enters you into a drawing to win a new iPad!